The Department of Water and Sanitation (DWS) provided the Committee with an update on progress with the Lesotho Highlands Development Project (LHWP) Phase I and II, in the presence of the Minister. The LHWP was the bi-national inter-basin water transfer that was aimed at the ultimate delivery of water at the rate of about 70 m3/s. It was considered as one of the largest engineering projects, and funded by water users not taxpayers. The treaty for the project had been signed on 24 October 1986, and the Phase II agreement was signed on 11 August 2011. The governments of South Africa and Lesotho had joint oversight over the Lesotho Highlands Development Authority (LHDA), a vehicle established by the treaty to be responsible for the implementation in Lesotho of both components of the project -- water transfer and hydropower. Unlike the Trans Caledon Tunnel Authority (TCTA), where the government of Lesotho did not contribute to its cost, the LHDA was paid for by both governments in the ratio reflecting the value of their respective investments, which currently was at 7% for Lesotho and 93% for South Africa. The Department highlighted that there were a number of benefits that had been derived by South Africa from Phase I. These included the transfer of 10 000 million m3 of high quality water to date, improved security of water supply and significantly reduced water treatment costs. There were also benefits in terms of a secure water supply for mining, power and other industries, the supply of construction for all work - -skilled and semi-skilled -- and a general improvement in infrastructure. Benefits that were derived by Lesotho included the creation of more than 16 000 jobs during Phase I, opportunities for local contractors, the supply of goods and services and the provision of high quality roads which means improved access into the highlands areas. Similar benefits were expected during Phase II, and the impact on the engineering industry was expected to be much greater, since 50% of all advance infrastructure work had been allocated to Lesotho, and at least 10% of the main works -- dam and tunnel. The Department had implemented a range of lessons that had been learned from Phase I which would be applied in the execution of Phase II. There should be a concerted effort to focus on the political mandate and setting up objectives to stick with over the whole project implementation period. The Department had also realised that complex international negotiations required time and patience and there should be an implementation of project control measures to minimise risk and cost increases. It was crucial important not to rely on general policies, as there were specific requirements that had to be built into the contracts. Members asked about the people that were likely to be beneficiaries of this project, starting with the project director, coordinators and various people who were actively involved in the execution of the project. The Committee should also be briefed on the number of black people that were involved in the project, because of the need to prioritise black economic empowerment (BEE). The Minister was asked to provide clarity on the confusion there had been on the budget of the project, and to share with the Committee the issues or concerns that had been flagged by the Public Protector. Members said it would be important to know if there was any particular reason why the Department first went through the pre-qualification tenders on the project, as this was potentially delaying the project. Concerns were raised about the timeframes for the project, what had caused the delays, the impact of delays on the overall cost, and whether the delays had impacted on the current drought situation. Members asked who would make a final decision on the procurement policies, between the Department and the permanent delegates on the project. 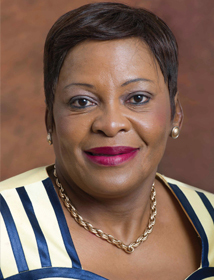 Ms Nomvula Mokonyane, Minister of Water and Sanitation; indicated that it was the intention of government to ensure that people of Lesotho were also able to derive benefits from the Lesotho Highlands Water Project (LHWP). The benefits of this project should not be limited just to access to water and to sub-contractors, but should also stimulate economic growth in the country and those who were directly responsible for this project in South Africa and Lesotho should be directly involved in ensuring that the benefits to this project were able to spill-over. The access to water through this project should be able to benefit and reach out to other neighbouring provinces in the country, and not just Gauteng. The Department had to intervene when there was drought in Aliwal North, but now with the long-term infrastructure development in the Northern Cape, the intention was to ensure that the benefits for this project were also able to reach out to other areas in the Northern Cape and extend to Botswana. The Department had also to intervene when there is drought in KwaZulu-Natal (KZN) and Free State. The Department needed to ensure that both South Africa and Lesotho were able to define the enabling environment for beneficiation, based on existing policies and regulations. This had led to the situation where South Africa would be working with Lesotho on procurement policies. This was to prioritise the national, regional interest and international interests of the countries. The Department had also made sure that the Board of the project was inclusive of both Lesotho and South Africa, as the government had taken a conscious decision that the interests of both countries should be prioritised, and not just South Africa. One of the things that was particularly important in the implementation of Phase 1, was building capacity and creating economic opportunities for the people of Lesotho. and this was also a requirement in the implementation of Phase II of the project. The Department could safely say that the project was on course and the processes all were on course as planned. The Government had to reflect on what the previous treaty looked like and the lessons that could be learnt in terms of maintaining mutual respect for both countries. The Minister stated that Department was fully aware that there had been a change of government in Lesotho. This had compelled the Department to fully cooperate with the new government, and tolerance and respect for the new authority would be crucially important. There was also a look at the new plans that were in place for the people of Lesotho. This was where the plan for hydro electricity needed to come back into the scheme, and there was a feasibility study that was being done in this regard. There was a general observation that hydro electricity would be of more benefit to the people of Lesotho. It was agreed that the permanent delegates like Mr Bheki Nkosi, and the delegates from Lesotho, would need to consult with government and the Minister of Water and Sanitation in South Africa from time to time. The two heads of state would need to come together whenever when there were issues that need to be unblocked. The Department had hosted the government of Lesotho and prime minister of Lesotho two months ago, and this was aimed at strengthening the relationship between the two countries. There was an appreciation of this kind of project in Lesotho’s celebration of 50 years of independence, as the amended treaty would contribute immensely to the economic development of Lesotho. The Minister said that there was cognisance of the fact that this project had previously been based on the dominance of one country over another, and this was something that would be changed. The government had made it clear that South Africa should not be seen as dominating Lesotho, but aiming to become equal partners. The Department would need to bring black players from South Africa, who had been deprived of opportunities in previous years, into this project. There was also a need a need to deal with the problem of “fronting” by well established companies, as this project should also create wealth. There was strong belief that the Department would be able to meet all the targeted timeframes and move away from the previous project, which had merely accessed water from Lesotho without consciously investing on the growth in the country and stimulating an inclusive economy. The issue of accountability of the representatives of the project would need to be attended to by Lesotho. There was also an agreement that the issue of accountability from the permanent delegates of the project in South Africa and Lesotho should be consistent with national policies and interests of both countries. The matter that had been reported, that the former Public Protector Ms Thuli Madonsela had asked the Auditor-General’s office to investigate alleged “irregularities and improprieties” regarding the expansion of the Lesotho Highlands Water Project, had already been clarified. Mr H Chauke (ANC) said the input that had been made by the Minister was giving Members an indication of how she was “hands-on” on the project. It was correct that the LHWP was a major project and the interest would be on making water available in the country. However, it was unclear as to who were the beneficiaries of this project, starting with the project director, the coordinators and various people who were actively involved in the execution of the project. The Committee should also be briefed on the number of black people who were involved in the project – a question which was directly linked to the need to prioritise economic empowerment of black people. The Minister should also provide clarity on the confusion surrounding the budget for the project. He urged the Department to ensure that there was a high level of participation by black engineers and contractors. It was good to see that the Minister had clarified the matter that involved the previous Public Protector, and it would also be useful for the Minister to share with the Committee the issues or concerns that had been flagged by her. The fact that the matter had been cleared by the Public Protector meant that the Department was “on the right footing” to go ahead with the project. The matter of beneficiation should also be able to benefit even the farmers of Lesotho. Mr L Basson (DA) also asked the Minister to share with the Committee the Public Protector’s report, as this would assist the Committee to look at the issues that had been flagged about the project. It would be important to know if there was any particular reason why the Department first went through the pre-qualification of tenders for the project, as this was potentially delaying the project. Ms T Baker (DA) wanted to know about the timeframes for the completion of the project, as this was not clearly stipulated in the remarks that had been made by the Minister. What would the impact of the delays on the overall cost of the project be? It was already known that the delays in the project would have a negative impact. What would be the impact of the delays be on the current drought that was being experienced by the country? What mitigations had been put in place to off-set the problem of drought in the country? Mr D Mnguni (ANC) enquired if the people of QwaQwa were going to benefit from this project in terms of access to water. The Minister should clarify the allegation that she had misled the President with regard to the project, as the President should be given detailed and accurate information on a project of this nature. The Chairperson requested that the Minister should brief the Committee on the lessons that had been learnt on Phase 1 which could be taken forward in the implementation of Phase II. It would also be important to know who was to make a final decision on the procurement policies between the Department and the permanent delegates on the project. What had led to the delays in the finalisation of the project? What would be the impact of these delays on the allocated budget for the project? The Minister responded that beneficiation in the Phase I of the project was very minimal. This was particularly the case for black businesses, and this once again should be looked at in the context of how South Africa looked like in 1986. There had been an absorption of sub-contractors from previously disadvantaged backgrounds after 1994. The Committee would be provided with actual figures of beneficiation in the Phase I project, when all the relevant information had been gathered. The main struggle would be around who was in possession of relevant information in Lesotho, and where was that information located in order to be accessed. The beneficiaries in Phase I were mainly established white companies and multinationals. The Committee would also be furnished with the report of the Public Protector. QwaQwa would benefit from the project, as it was attracting water through the Vaal River system. The statement that the Minister had misled the President was once again a case of “selling of the paper” and it looked like this was an attempt by people to block the sovereignty of the people of Lesotho, by promoting the interests of the two countries. The Minister said that the budget for the project would not be less than R23 billion, and it had to be made clear that there was never any intention for Phase II to be functional and operational by 2016. There might be high water levels by the time the project was completed, depending on the weather conditions, but Members should not link the problem of drought with Phase II of the project. The reality was that the costs were likely to escalate in any project of this magnitude. The timeframes for the completion of mega projects were also likely to be accelerated or go beyond the stipulated deadline for the completion of the project. The problem of water shortages had nothing to do with Phase II of the project. The problem of water shortages in Gauteng was a “story for another day”. There was no one that was going to act outside the interests of the two countries, and this included the commissioner on the project. The Minister explained that the Department had had to stop the procurement process, as the pre-approval was likely to undermine what had been contained as amendments to the Treaty. Black South Africans and the people of Lesotho would not have been considered, as this was a big project which was likely not to accommodate emerging companies, and this would have been in contravention of the principles of Broad-Based Black Economic Empowerment (B-BBEE). Black businesses and the people of Lesotho should also be given equal opportunities. The Department could safely say now, that things had been done properly in ensuring that everyone was given equal opportunities. There should be a concerted effort to ensure that there was compliance from those who were assigned the responsibility to stimulate inclusive growth in the country. There would never be the closing of the gap between the haves and have-nots if there was no deliberate attempt by the government to put measures in place that would benefit those who had been previously denied opportunities. There was an agreement between South Africa and government of Lesotho around procurement policies, and the Committee could be provided with detailed information on how South Africa and Lesotho would benefit from this mega project. The delays had been caused by the delays that were experienced in the Lesotho elections, and it would have been irresponsible for South Africa to push for the finalisation of the project while these elections were under way. The South African government had needed to wait for the new leadership to be established before giving the go-ahead on the project. The government had decided that it was not just enough to keep on giving countries money on a monthly basis if there was no training of the people who would be involved in these projects, and the transfer of skills in order to create sustainable benefits for the country. Members should once again refrain from saying water shortages in the country were as a result of delays in Phase II of the project, as this was not a true reflection of the reality on the ground. Ms M Khawula (EFF) appreciated that South Africa was able to work together with government of Lesotho on this mega project, as this would assist both countries. It would be important to know how the Minister was responding to the problem of water shortages in and around the country, as the reality was that people in many municipalities did not have access to water. The Chairperson clarified that Phase II was yet to be implemented to deal with the problem of drought or water shortages in the country. The Committee was basically interested on the whole processes that were to be undertaken in the implementation of Phase II, and all the procedures that would be followed. The matter that had been flagged by Ms Khawula should be deferred to the meeting that would deal with strategies in place to offset the impact of drought. Ms Baker complained about the major escalation in the project’s costs, and wondered whether there was any particular reason why there had been such an increase. It was true that there was no link between the delays in the implementation of Phase II of the project and water shortages, but these delays were likely to have had an impact on the fact that the country did not have access to water at the moment. Ms N Bilankulu (ANC) said that the focus of the meeting for today was mainly on the update on the LHDA Phase I and II. The Committee should rather set up a meeting where the focus would be on the water shortages that were being experienced by a number of municipalities. Mr Chauke urged that the Committee should be provided with information on the beneficiaries of Phase I of the project, as it had been indicated that there was not so much that had been done in terms of transformation. There should be plans in place to ensure that black people both in Lesotho and South Africa were able to benefit from Phase II. It was also good to see that the Minister was open and frank about all the questions that Members had asked, and all the other outstanding issues. He encouraged the Minister to come often to the Committee meetings and share all the relevant information with Members. The Minister responded that there was a need for the Department to interact with local governments in dealing with issues of water shortages. The Department would be presenting to the Cabinet on problems that were being experienced in dealing with the shortages. It was always the case that the cost of a mega project would escalate as the time went by, and this had been no different with the LHDA. Mr Sifiso Mkhize, Acting Director-General (ADG), DWS, said that the LHWP was the bi-national inter basin water transfer that was aimed at the ultimate delivery of water at about 70 m3/s. The whole project was in five phases and had taken a period of 30 years. This was considered as one of the largest engineering projects, and was funded by water users, not taxpayers. The treaty of the project had been signed on 24 October 1986, with the Phase II agreement signed on 11 August 2011. 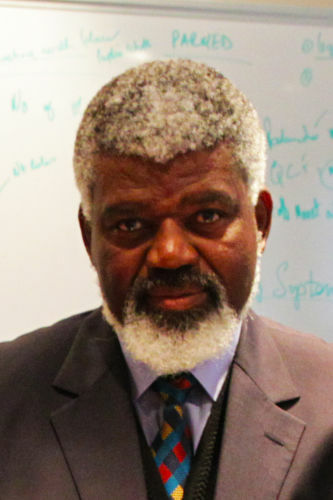 The treaty consisted of 19 articles and 3 annexures that talked to the working arrangements and implementation between the South African and Lesotho governments. The two governments had a joint oversight over the LHDA, a vehicle established by the treaty to be responsible for the implementation in Lesotho of both components of the project -- water transfer and hydropower. Unlike the Trans Caledon Tunnel Authority (TCTA), where the government of Lesotho did not contribute to its cost, the LHDA was paid for by both governments in a ratio reflecting the value of their respective investments, which currently was 7% for Lesotho and 93% for South Africa. The governance model gave both governments joint oversight on the implementation of the project through the Lesotho Highlands Water Commission (LHWC), which had oversight of the board and the Chief Executive. Mr Mkhize said that the benefits of Phase I in South Africa included high quality water transferred at 10 000 million m3 to date, improved security of water supply and significantly reduced water treatment costs. There were also benefits in terms of secure water supply for mining, power and other industries, the supply of construction for all work -- skilled and semi skilled -- and a general improvement in infrastructure. There were also benefits that were derived by Lesotho. These included the creation of more than 16 000 jobs during Phase I, opportunities for local contractors, the supply of goods and services, and the provision of high quality roads which meant improved access into the highlands areas and greatly reduced travelling times. Similar benefits were expected during Phase II, and the impact on the engineering industry was expected to be much greater, since 50% of all the advance infrastructure work had been allocated to Lesotho, and at least 10% of the main works – the dam and tunnel. Mr Mkhize said that the oversight function of the LHWC would include the hydropower component of the project, and this had been at the request of the government of Lesotho. The LHWC was the only channel for the governments’ inputs into the project and was responsible and accountable to the two governments for the implementation of the whole project. The Chief Executive of the project was appointed by and reported to the board. The board was appointed by and reported to the LHWC, and the LHWC was appointed by and reported to the two governments. 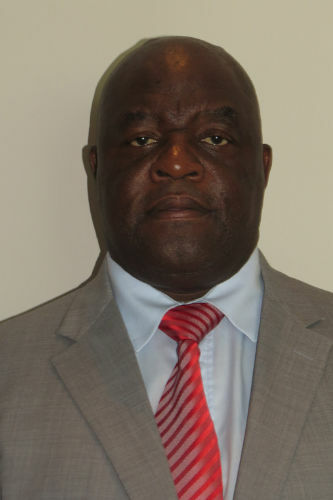 Members of the board and the Chief Executive of the implementing authority of the project, the Lesotho Highlands Development Authority (LHDA), were appointed on merit (qualifications, experience and character) and this had been done in a transparent process. The LHWC’s joint oversight on the TCTA was restricted to the operations and maintenance function of the project. The primary function of the board included the establishment of operational policies for the management and control of LHDA and its management, appointing the Chief Executive of the LHDA in consultation with the LHWC, and also reporting to the LHWC on a quarterly basis. The board ensured access to the information needed to enable the LHWC to execute its responsibilities. Environmental and social programmes need careful planning. A number of lessons from Phase I had been applied in the implementation of Phase II, such as the focus on the political mandate and setting up objectives to stick with over the whole project implementation period. The Department had also realised that complex international negotiations required time and patience, and that there should be an implementation of project control measures to minimise risk and cost increases. It was also crucial important not to rely on general policies, as there were specific requirements that had to be built into the contracts. There should also be accurate measurement of socio-economic achievements during construction. Mr Basson asked when the Department would be conducting an oversight visit for Phase I of the project in Lesotho. The Chairperson responded it would be for the Members to decide on the time to do the oversight visit. The Committee should perhaps set a date to conduct oversight some time in January 2017. Ms Khawula expressed concern that the project had started in 1986 and was likely to be completed by 2030, while the people of South Africa were still struggling to access water. It would be interesting to hear if there was any other way in which the project could be speeded up in order to deal with the current problem of water shortages. The money for the project was likely to quadruple because of the timeframe that had been set for the completion of the project, and the delays that had been experienced already. The R23 billion that had been set aside for the project should be used to deal with the immediate impact of drought in the country. The Committee should be briefed on water that was to be sold to Botswana. Ms Basson asked if there was any possibility for any further phases of the project with Lesotho, as this had not been made clear by the Minister. Mr Mkhize replied that the establishment of further phases would be dependent on the water demand that would be encountered by the country. The Chairperson clarified that the delegates present at the meeting were basically aware about the project in Lesotho, and not the one Botswana. The Committee should rather “park” the matter on Botswana for another day. It would be proper for the Committee to set up a meeting where the Department would brief Members on a whole range of projects that had been undertaken.